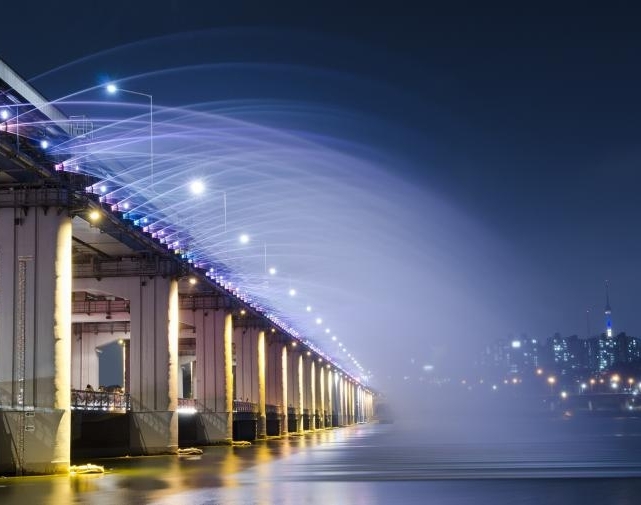 See the beautiful night view of Seoul.At Banpo Bridge see the beautiful Rainbow Fountain Show and take a walk in the man-made floating Island, Sevit some. 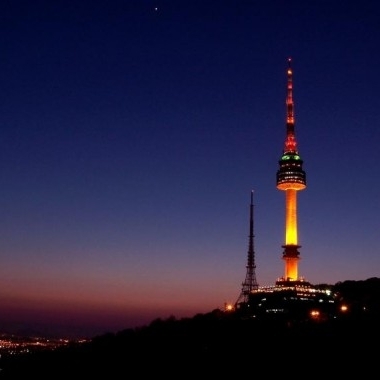 Admire the Seoul Scenery from up in the N Seoul Observatory. 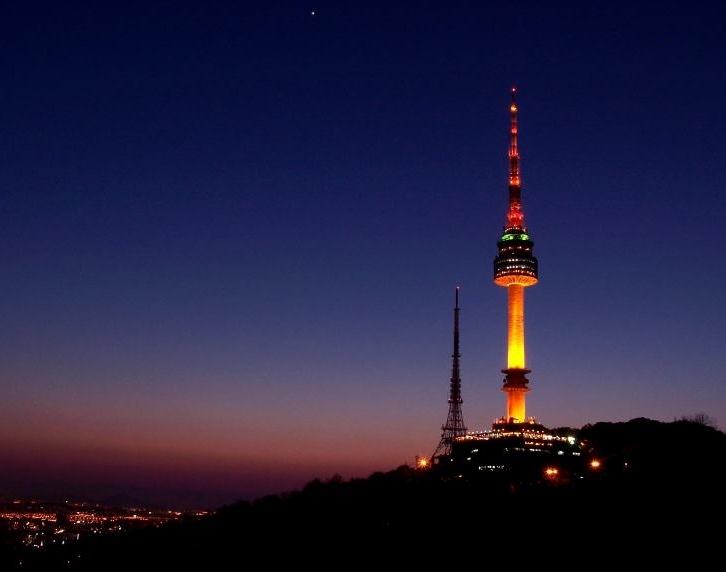 With a commanding view of Seoul, N Seoul Tower is equipped with observatories and revolving restaurant for a full 360º view. 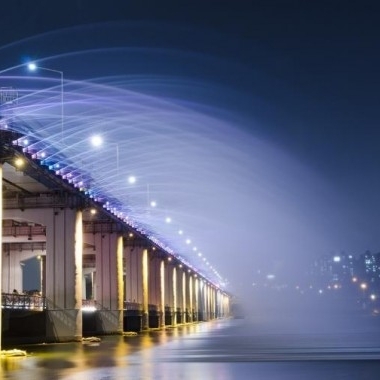 Banpo Bridge Rainbow Fountain is installed along 570m on both sides of Banpodaegyo (=Banpo Bridge) with 380 nozzles spraying water from the river below out into a beautiful show of water, music, and lights. 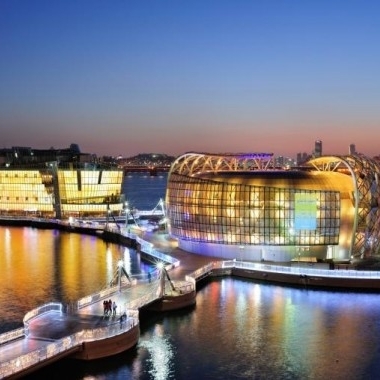 Some sevit is a culture complex made up of three man-made floating islands located near the southern end of Banpo Bridge. The Island were created with the theme of "Flowers of the Hangang River" and represent the view, life, and the earth, as well as a flower in various stages of life. The largest island, 'Some Gavit' symbolizes the view and takes the form of a flower in full bloom. It is a multi-functional cultural facility which can be used as a venue for performances, international conferences, exhibitions and more. Around the floating islands are LED lights that create a fantastic night view under the theme of "A gleaming light in the mist". ※ Children must be accompanied by an adult. ※ Dinner menu and itinerary is subject to change. 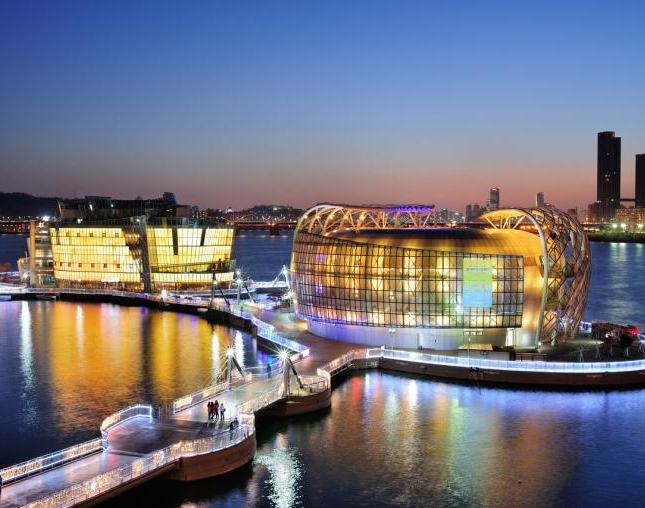 ※ Hotel pickup is onlt available for centrally-located Seoul hotels. ※ If your hotel/guest house is behind alleys, our English guide will meet you in front of the nearest central hotel or nearest subway station.